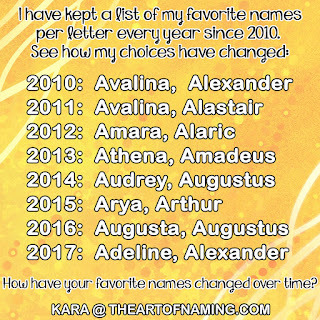 In honor of Monday's post about names that are considered unisex, I thought I'd choose my favorite of the bunch. I'm not personally a fan of unisex names, I prefer to keep things gender-specific and obvious, however, I do like Rowan and cannot decide which gender I like it better for. What do you think? The name Rowan comes from an Irish surname. It is an Anglicized form of Ó Ruadháin which means"descendent of Ruadhán". Sometimes this name is associated with the rowan tree which has red berries. It is also said to mean "little redhead". This name is said to have been used for both genders since the middle ages, most commonly in Scotland and Ireland. In 2012, this name ranked #301 for boys with 1,138 births. On the girl side, there were 678 births which ranks the name at #455 in 2012. It isn't quite a 50-50 split, but it is more evenly distributed than some of the other names that are considered unisex. 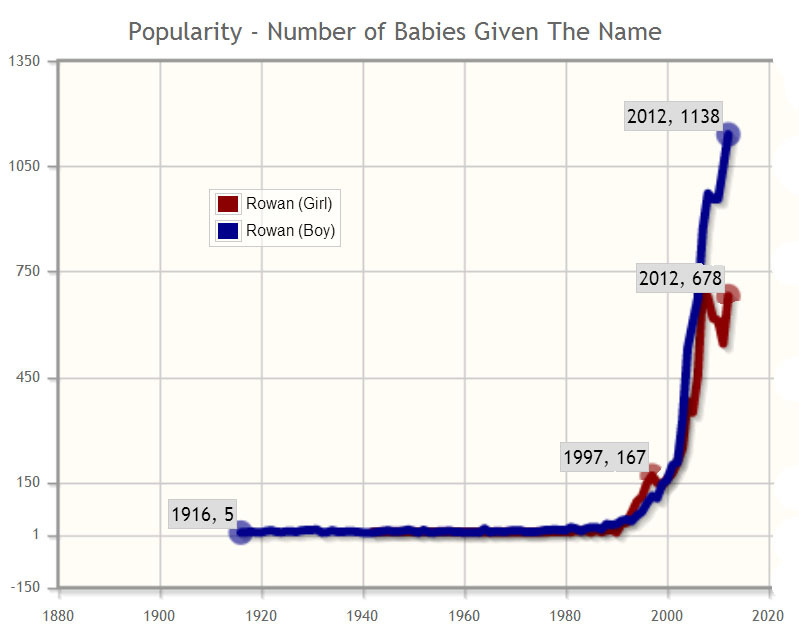 Additionally, there were 234 baby boys who spell it Rowen instead of Rowan, and the 97 female Rowens. 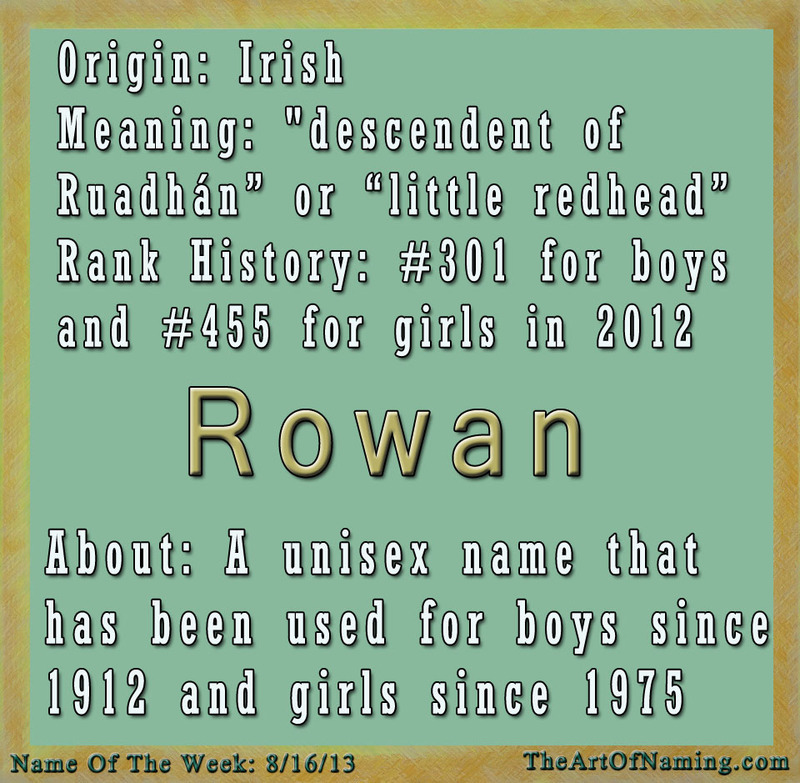 Overall, Rowan first appeared in the states as a male name. It dates back to 1916 for boys, and it wasn't used for girls until 7 births in 1942 and then more regularly in 1975 after that. The most famous Rowan is Mr. Atkinson who is well-known for his persona Mr. Bean. There is also Brooke Shields' daughter who is named Rowan. 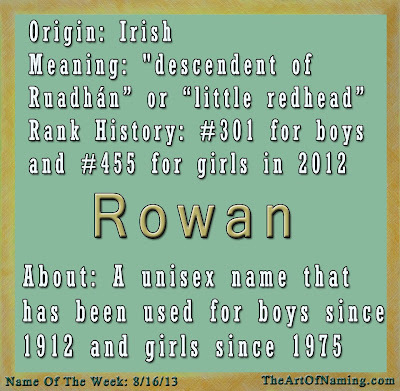 I would pair Rowan with very gender-specific middle names like: Rowan Isabelle or Rowan Alexander. Which gender do you prefer this name on? Do you know any little Rowans? I like Rowan for a boy!